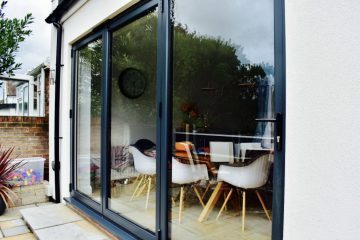 3 Panel Bifolding Door, opening out to the left. 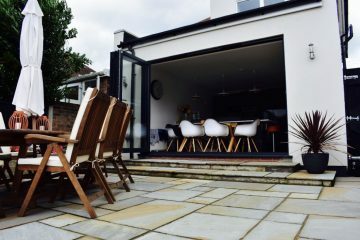 Ral 7016 Grey Anthracite accompanied with black furniture and trickle vents. Most people build an extension for space, others for light. 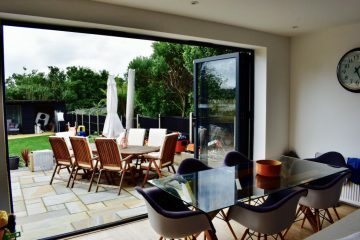 Our Bifolding Doors can be made upto 1200mm per panel, and height reaching 2400mm; Giving you maximum glass and light exposure! 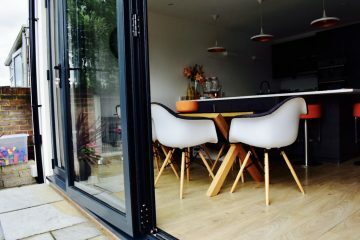 Mr Marson opted for an over standard size 3 Panel Bifold door, allowing light to stream flowingly into an open plan kitchen and dining room. 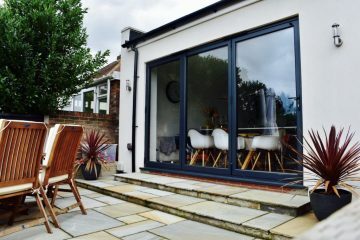 3 Panel Bifolding Door, opening out to the left. 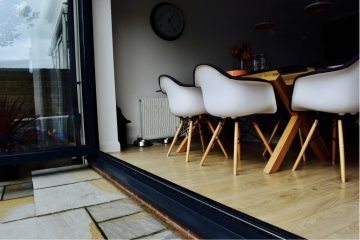 Ral 7016 Grey Anthracite accompanied with black furniture ands trickle vents.